Los Angeles - Sept. 6, 2012 – A team of Cedars-Sinai Heart Institute stem cell researchers today was awarded a $1.3 million grant from the California Institute of Regenerative Medicine to continue study of an experimental stem cell therapy that treats heart attack patients with heart-derived cells. Earlier this year, data from the first clinical trial of the stem cell treatment showed the therapy helped damaged hearts regrow healthy muscle. To date, this cell therapy, developed by Eduardo Marbán, MD, PhD, director of the Cedars-Sinai Heart Institute and Mark S. Siegel Family Professor, is the only treatment shown to regenerate the injured human heart. In this therapy, human heart tissue is used to grow specialized heart stem cells, which then are injected back into the patient’s heart. The new research will focus on understanding the cellular mechanisms that have produced favorable outcomes. "We have seen encouraging results in patients with this treatment, and it has the potential to revolutionize how we treat heart attack patients," Marbán said. "This further study will allow us to better understand how it works, which we hope will lead us to even more stem-cell based treatments for the heart." During a heart attack, clots form suddenly on top of cholesterol-laden plaques, which block the flow of blood to the heart muscle. This causes living heart tissue to die and be replaced by a scar. The larger the scar, the higher the chance of death or disability from the heart attack. Conventional treatments aim to limit the initial injury by opening the clogged artery and prevent further harm with medications. Regenerative therapy aims to regrow healthy heart muscle and dissolve the heart tissue -- an approach that, according to a study by Marbán published in The Lancet, led to an average 50 percent reduction in scar size. Early study by Cedars-Sinai researchers indicates that much of the benefit in the experimental therapy is due to an indirect effect of the transplanted cardiac-derived cells. These cells seem to stimulate proliferation of the surrounding undamaged heart cells -- a previously unrecognized means of cardiac regeneration in response to cell therapy. "This is vital basic science work that we believe will ultimately open pathways to new treatments in the fight against heart disease, the leading cause of premature death and disability," Marbán said. The process to grow the cardiac-derived stem cells involved in the study was developed by Marbán when he was on the faculty of Johns Hopkins University. The university has filed for a patent on that intellectual property, and has licensed it to a company in which Dr. Marbán has a financial interest. 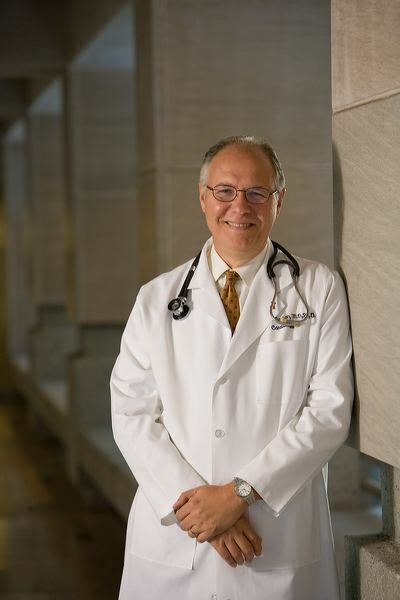 Bringing together researchers, physician scientists and clinicians, providing true "bench to bedside" advances in regenerative medicine has been a major focus of Cedars-Sinai, through both the Heart Institute and the Cedars-Sinai Regenerative Medicine Institute, led by Clive Svendsen, PhD, director. The California Institute for Regenerative Medicine was established in November 2004 with passage of Proposition 71, the California Stem Cell Research and Cures Act, proving $3 billion in funding for stem cell research. Since 2009, CIRM has awarded 10 grants to Cedars-Sinai totaling $29.3 million.